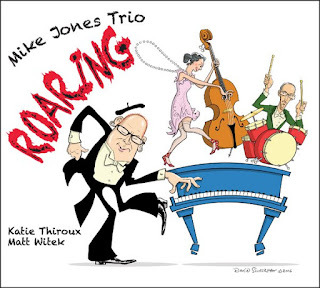 Roaring, pianist Mike Jones' second release for Capri Records, brings sparkling new life to standards from the 1920's. Teaming up with the marvelously sympathetic rhythm team of Katie Thiroux on bass and Matt Witek on drums, Jones takes on such "Roaring Twenties" favorites as "I Found a New Baby," "Mean To Me" and "Me and My Shadow," fully displaying the dexterous technique, style and taste that have brought him acclaim from both jazz cognoscenti and critics alike. 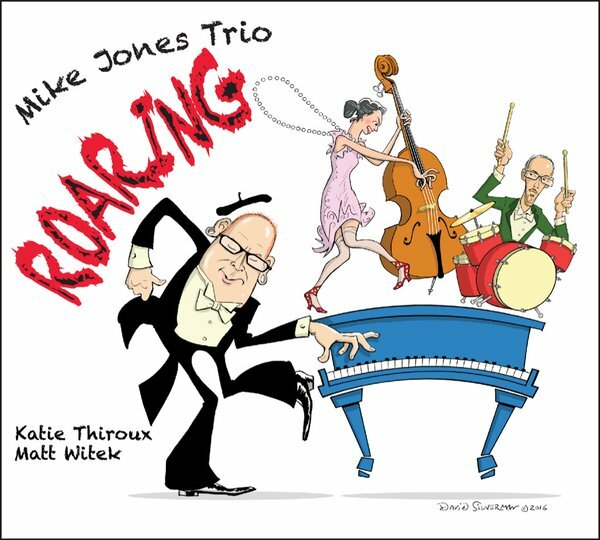 Roaring features an original cover illustration by David Silverman of Simpsons fame (rendered in the iconic style of "Jazz Age" artist John Held Jr.) and liner notes by the renowned writer Neil Gaiman. Recorded in a single four-hour session, the album demonstrates how superior instrumentalists can come together, without rehearsal and without having played together as a group, and effortlessly meld into an indivisible unit. All but one of the tunes were done in one take. Together, Jones and company brush off the dust from Great American Songbook classics originally introduced in the 1920s, imbuing each with vitality and renewed spirit. The CD will be released July 15, 2016. Celebrated as one of the most adept keyboard practitioners of mainstream jazz, Jones has also gained international attention for his work with Penn and Teller. Over the past fifteen years, millions of Las Vegas visitors have heard the versatile pianist play with the eminent magic team at the Rio All Suites Hotel and Casino. Jones is not only the opening act for the show, he is also the music director and composer for the production. Roaring was made while Jones was appearing in the sold out "Penn & Teller On Broadway" show.